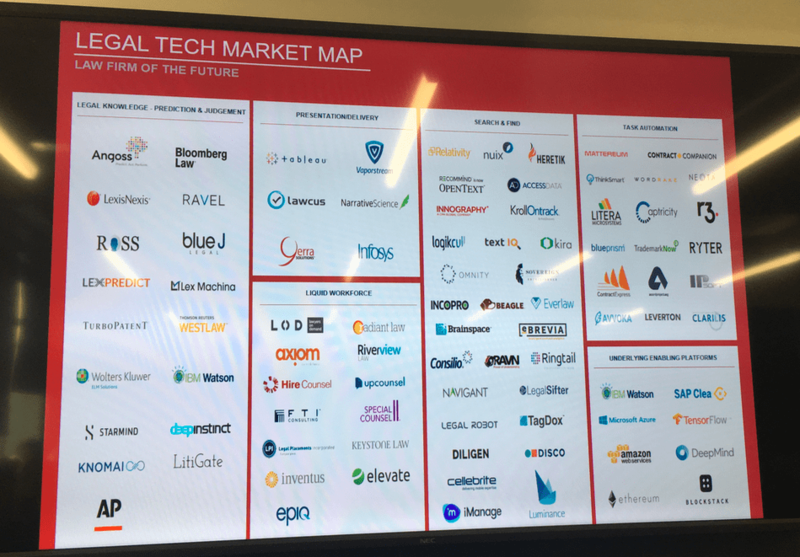 What Went Down at Barclays LawTech AI Frenzy? 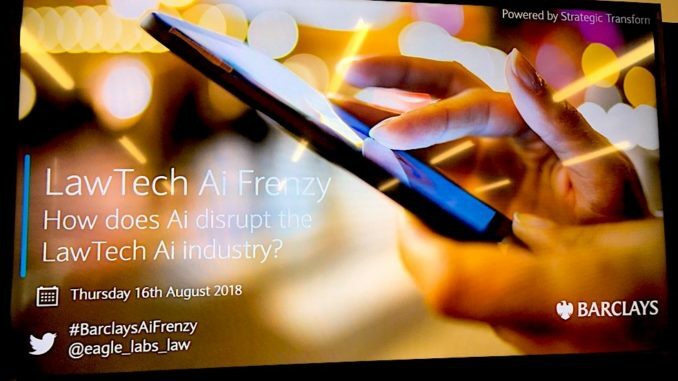 Last night Barclays Bank hosted its first ever ‘LawTech AI Frenzy‘ event at its recently opened co-working/incubator space, Eagle Law Labs, in Notting Hill, London. As you’d expect, Artificial Lawyer couldn’t miss this one. Here is what went down. 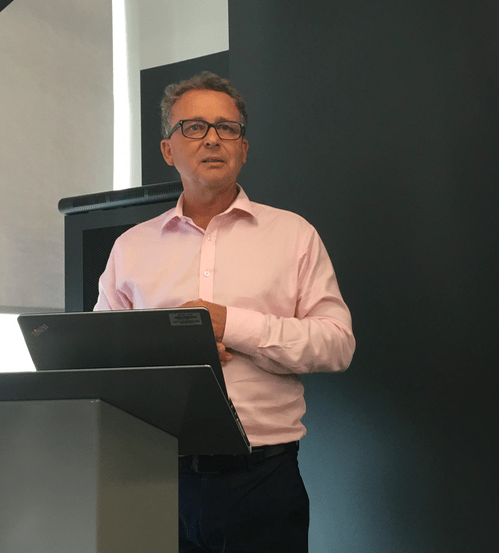 First up was Steven Roberts, who has been with the bank 28 years, playing a leading role on the retail side and now also playing a leading role in the Barclays UK Ventures group. Steven Roberts, Barclays UK Ventures. He explained that Barclays has been focused on the use of tech for a while even becoming by accident one of the greatest providers of free wifi after putting this service into all of its branches some years ago. However, he explained, physical branches are a challenge in today’s market. Roberts noted that only about 30% of many bank branches are actually used, now that processing cheques and other manual labour has been automated. That left Barclays with a problem: what do we do with all this space, other than simply closing the branch? The answer was to create Eagle Labs, a co-working/incubator space that appeared first in Cambridge, and soon to be in 23 locations around the UK. And, as Roberts explained the bank has form for this type of thing. In fact, Barclays could trace its roots back to the small coffee shops of the City of London, which back in the later part of the 17th Century and early 18th Century were hotbeds of innovative people coming together to sip the relatively new elixir and discuss business and ideas. Some of which later evolved into banks….such as Barclays. It was also a period of great change in European society, leading to The Enlightenment and the Industrial Revolution, both of which were founded on ideas related to scientific exploration, the use of automation (via steam power), natural philosophy, free markets and the development of democratic ideals. It was also the time when the City of London really became a commercial centre for Europe, and then the world. The parallels for legal tech are clear. The UK is a centre for legal tech and the world of legal professionals is in a period of flux due to new ideas and new technology. In short, the world is changing. Barclays, part by chance, part by design, is right there in the middle of things again. So, we can see the Eagle Labs as the continuation of the coffee shop groups that first formed in London 300 years ago. It just shows, history has a way of repeating itself. OK, so who came next? Alex Keeble, also of Barclays UK Ventures, talked about the goals of the Labs, and stressed this was all about meeting and collaboration, sharing ideas and working across several sectors. He noted they really want to explore AI, how it relates to them, and their clients. So, they are developing AI resources and events for law, and for other areas, including agriculture. He also pointed out that Barclays has developed a dedicated page all about AI – you can check it out here. 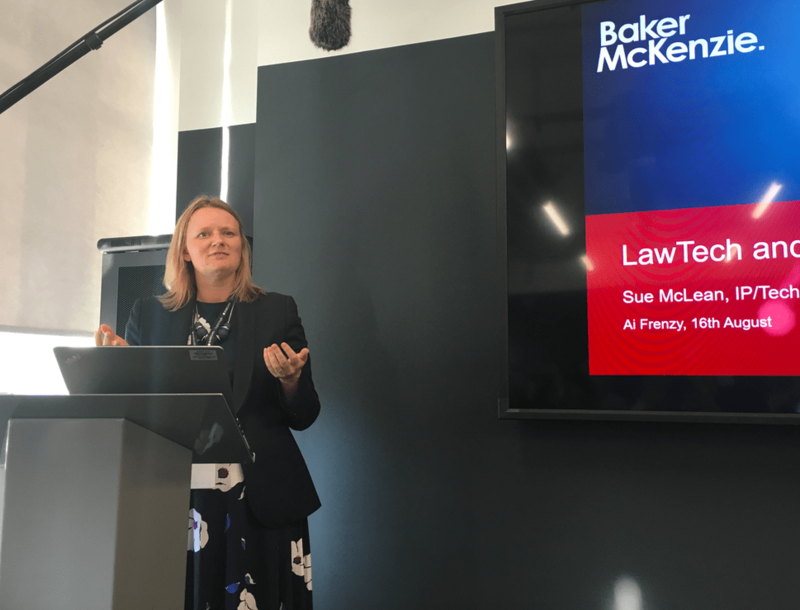 Next was Sue McLean, a partner at global law firm, Baker McKenzie. She noted that back when she started as a lawyer in the late 1990s there was a rush of new technology which seemed to be changing things. But, with hindsight it was clear that little really changed then. 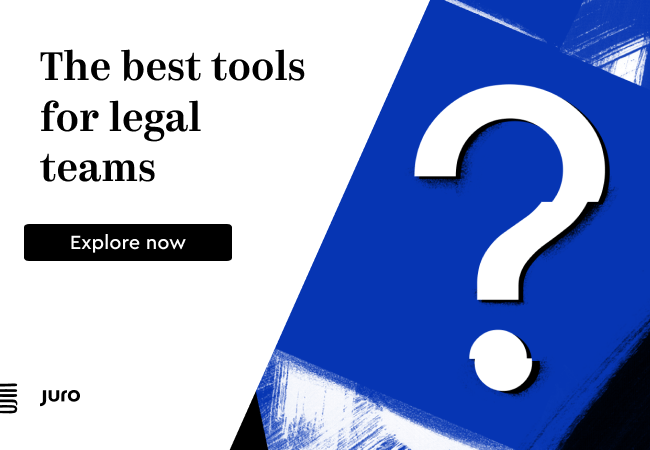 Some tools that helped with doc review and legal research were there, but how the lawyers worked hadn’t really changed…..until now. ‘What is happening now is different. We are now on the cusp of a revolution in how we deliver legal services,’ she said. 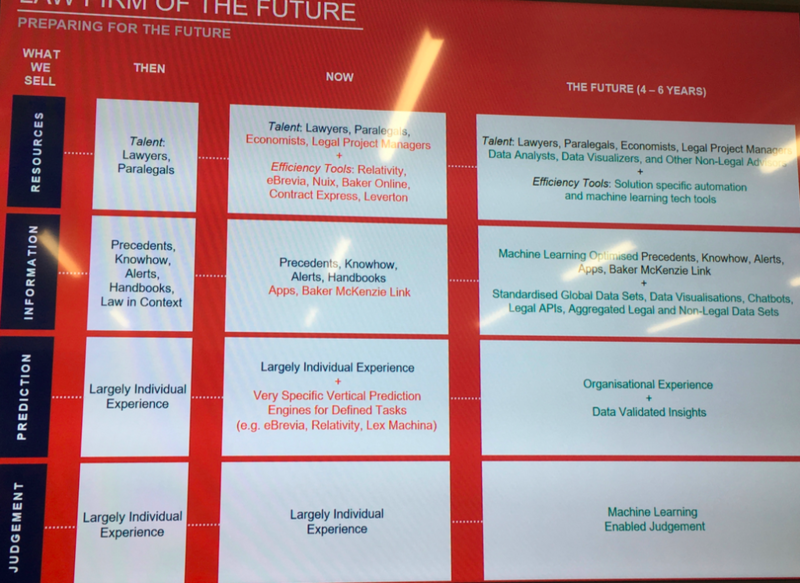 McLean then produced some excellent slides (see below) which set out how the firm used legal tech and how they viewed the market. How Bakers see things changing and what it uses now. McLean stressed that lawyers will still be needed for their human skills, their empathy and their ability to provide judgment. I.e. unless law firms gets involved, in groups such as this, then the legal tech companies won’t be able to make the solutions that lawyers need, or they won’t be quite as good as the lawyers want. ‘So we are thrilled to join Barclays Eagle Labs,’ she concluded. Then came Mark Wing, of Clyde & Co, who heads up the Data and Analytics lab there. He stressed the need for legal tech companies to also think about applications for litigation, rather than just focusing on transactional work. He also noted that one challenge with new tech is that some lawyers can expect a perfect solution. He told the story of how he did a demo of a new piece of tech for the employment team. The partner later said it had all been very good, but ‘it only solved 75% of the problem’….! And, as he added, solving that much of a legal process or workflow problem with a single tech solution is actually very, very impressive. 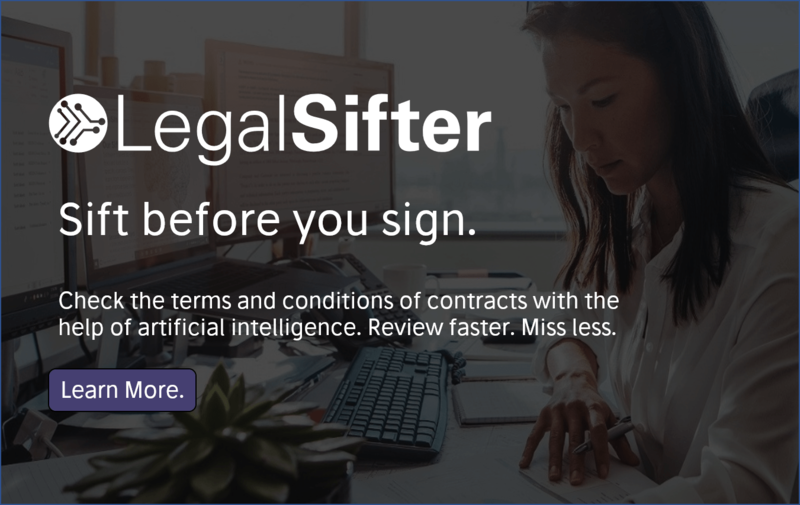 But there we go, legal tech companies are entering a new world, and lawyers are learning how to work with them. Wing also explained that they are developing data analysis tech for the insurance world that can help provide evidence of fraud. He said that they can’t compete with the investment of giant insurance companies, but they can instead focus on the legal use cases that relate to proving fraud, not just spotting anomalous claims. 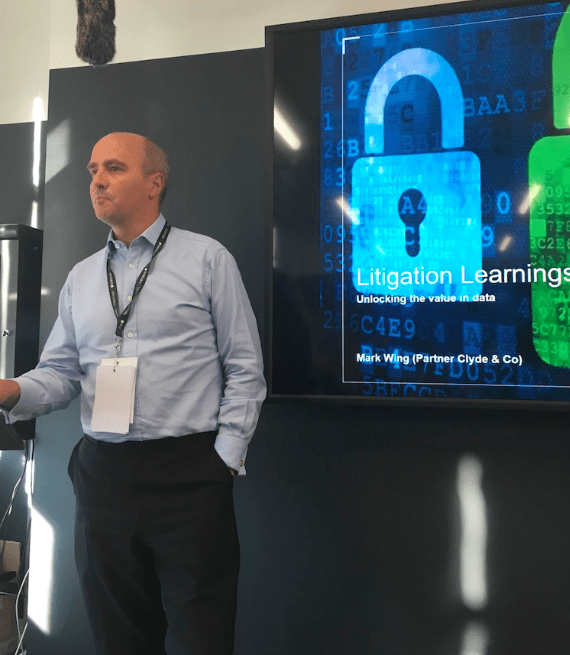 Then came Nelson Jung, a partner at Clifford Chance, who told the audience about the risks of algorithms automatically price-fixing and that AI systems therefore needed to be taught not to get their companies into anti-trust legal problems. And finally there were two of the early stage legal AI companies: Rafie Faruq, of Ginie AI and Fraser Matcham and Vasilis Kotsos of Legal Utopia. Faruq didn’t say much about the company’s application, but later told Artificial Lawyer this was by design as they are not ready to go public yet on all their tech. But, he provided a very useful overview of machine learning techniques. And Legal Utopia’s team also spoke a little about machine learning and gave a short intro to their application which is an A2J system that is partnered with the University of Westminster, and which uses some AI techniques to help consumers identify if they have a legal problem and which lawyer they need to use. And that’s all folks. There was then a great bit of networking and munching of the great food Barclays provided. End result: lawyers and legal tech companies came together, they talked, they shared ideas and came away all the better for it. Great stuff. Looking forward to the next one already!